Social Media Trends: Pinterest in Europe – Pin it or Bin it? Pinterest. Surprise, surprise – another new social network everyone talks about. There is a lot of hype around the platform, but is it really necessary to invest again money, time and resources in another social network? Yes. There is actually a very good reason why Pinterest should not be ignored: the total number of global unique visitors in Pinterest increased 2,702.2% since May 2011 reaching 11,716,000 visitors by January 2012. 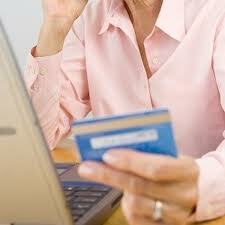 It has 1,36 million visitors a day. Pinterest is a social photo sharing network that allows people and brands to create image collections, Pinboards, based on their interests, hobbies, products, beliefs, humour, art, events and more. The idea is to connect people through the things they find interesting and get inspired by. Users are able to browse other users’ collections, re-pin images for their own Pinboard, follow other users, and like their photos. 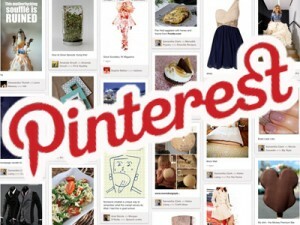 Pinterest allows users to share pins also on other social networks, which increases the social visibility. The average Pinterest user spends almost 16 minutes on the site per visit compared to 16.4 min. in Youtube, 12.1 min. 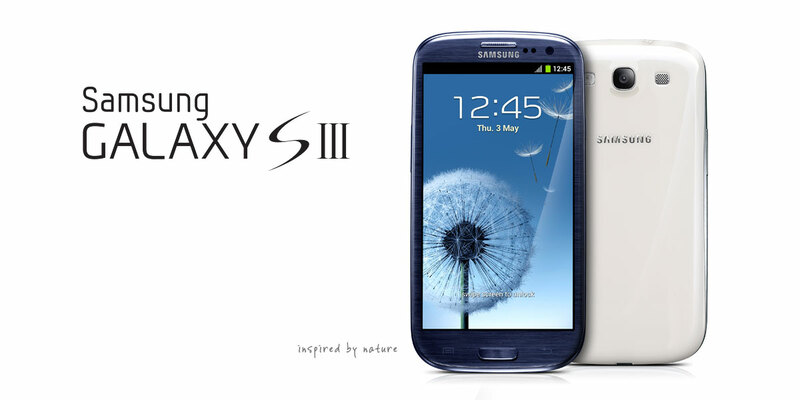 in Facebook, and 3.3 min. in Twitter. Surprisingly, Pinterest provides more referral traffic to other sites than Google+, YouTube and LinkedIn combined together, and the apparel retailer referral traffic from Pinterest increased 289% between July and December 2011. 50% of the Pinterest users have children, almost 70% of Pinterest users are female, and 97% of Pinterest’s Facebook fans are women. Instead of teenagers and young adults, the platform seems to appeal most for the older age groups: largest age group is 25-34 year olds (27.4%) followed by 35-44 year old users (22.1%). Interestingly 45-54 year old users represent 17.9% of the user base, which is a high number compared to other social networks. 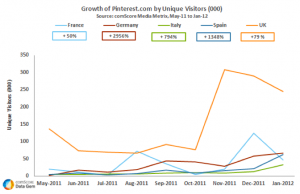 In Europe Pinterest has grown exponentially since May 2011 becoming the fastest growing social network. 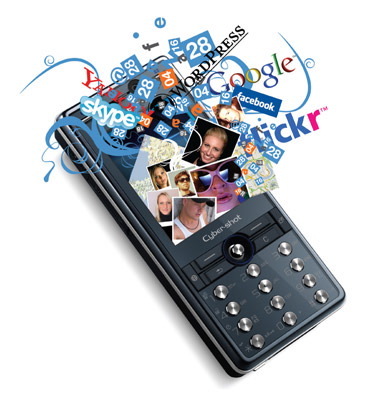 According to Comscore, in January 2012 the UK had the highest number of unique visitors in Europe (245,000), Germany had 67,000 unique visitors, and Spain had 62,000 unique visitors. 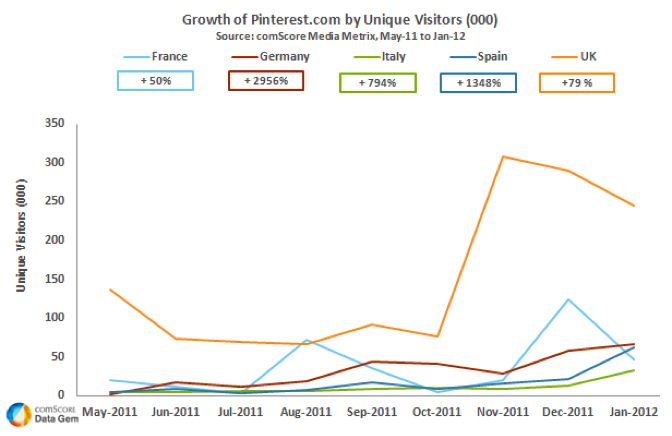 What comes to the growth, from May 2011 to January 2012 Germany had the highest growth rate of 2956% in Pinterest, followed by Spain (1348%), and Italy (794%). Even if the unique visitors decreased in France and the UK between December 2011 and January 2012, engagement on Pinterest increased by 1740% and 20%, respectively. Pinterest is currently the fastest growing social network in the US and Europe, and it is very interesting from a brand perspective. 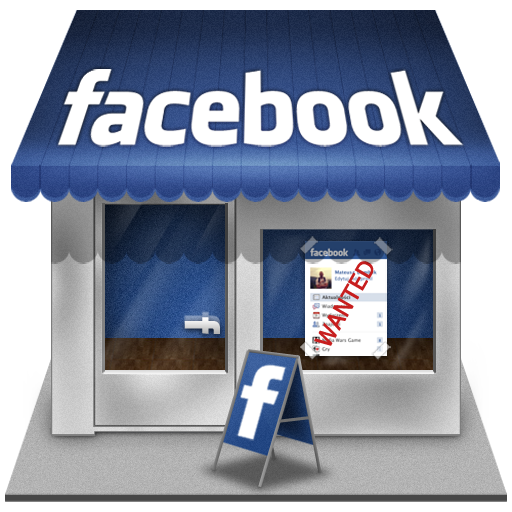 You have a possibility to target people according to their interests in real time without being their “friends”, provoke a stronger response with images as people are very visual, and obtain social recommendations when people “pin” or like your image. With a proper preparation, the social photo sharing platform may be very beneficial for sales, and looking at the demographics, it is great especially if you are targeting women and more mature demographics. How brands can use Pinterest? For example, ecommerce sites and brands can use Pinterest to pin their products (fashion, clothes, shoes, accessories, interior designs, household items, wedding items, baby products, etc), travel companies and hotels can pin location pictures, food manufacturers can pin beautiful dishes, pet food companies can pin cute animals, etc. etc. 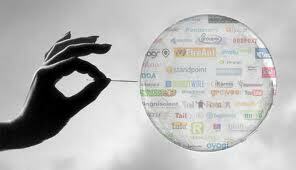 The list goes on, but as with other social networks stop and think before you start pinning. Pinterest has a lot of potential, but if not done properly the end result may not be what you expected. To be successful as a brand you need a proper Pinterest strategy to reach right people, and if you have a good strategy – an image can be worth a thousand words. 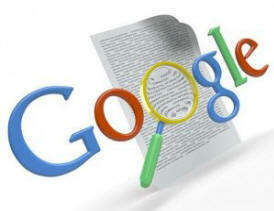 Previous story EU Data Cookies Law: What Does It Signify for the Website Owners? 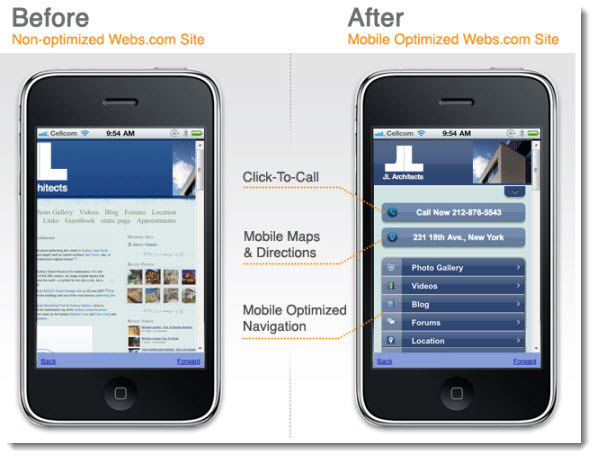 Europe / Marketing / Mobile / U.S.